What I’m most surprised about by this headset is just how sleek and minimalist it is. There are basically no blatantly identifying marks on it, and honestly, I absolutely love that. Is it a Cooler Master Gaming Headset? Or is it some set of slick pro-audio headphones? I doubt many could tell. The only branding is the shape on the back of the ear cups, which is actually just the outline of the Cooler Master badge. Super simple, super clean, and very classy in my opinion. The headset uses a mixture of soft finished leatherette padding on the headband, combined with soft-touch rubber coatings on the ear cup mounting, and a lightly textured matte black plastic on the driver housing. Almost everything has a sleek and stealthy look to it, with the only exception being some titanium grey trim on the side. More brands are going for this clean look, and to think the gaming headset market was doing this and this kind of thing just a few years back. Holy snug fitting ear cups Batman! I’ve tested a few hundred sets of headphones/headsets over the many years, and few come close to even being as comfortable as this headset. It graces your head like a feather in the wind. This is thanks in no small part to the headset being impressively lightweight. At just 250g (I actually weighed it and it was 246g), it’s very light, and after a few minutes of wearing it, you forget it’s even there. Then we have the super soft padding, which is like a cushion of air; because it mostly is. That’s a double edge sword, as it’s comfortable, but in my experience, it could wear out quicker vs more densely packed foam. The headband features an adjustment on each side. However, what surprises me is how far it adjusts. I have a big head, and not just the big-ego kind, but the kind that struggles to find suitable hats or over-ear headphones that reach down to my ears properly. At the minimum, this headset will fit my younger children with no issues. However, at the maximum, even I’m left wondering how tall your head would have to be or how low your ears would be to make use of this. I’m not complaining, a headset that fits more shapes and sizes of human is obviously a good thing. 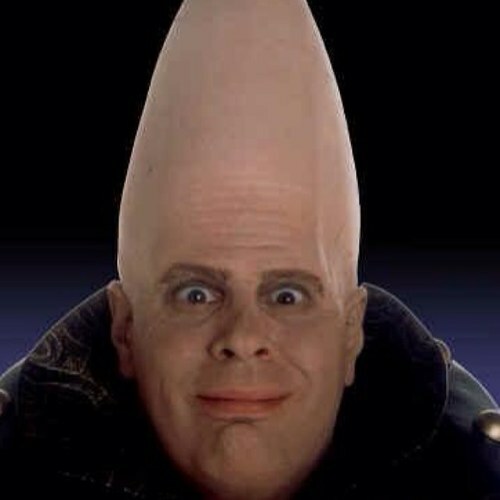 It’s also a perk if you’re Beldar Conehead. On the bottom of the left ear cup, you’ll find two fittings, one for the microphone, and one for the audio cable. A lot of thought has gone into their design too. The headphone has a small notch that ensures it locks firmly in place. However, it’s the audio jack that works better. It has two pegs on the jack, so when inserted, you rotate it 90-degrees and it locks securely in place; no chance of this falling out any time soon. Just remember it locks, as I forgot and spent a few seconds later in the day wondering why the cable was jammed; but that’s just me. The drivers use a closed-back design, which helps with ambient noise reduction and locking in the sound. It also helps tighten up the bass response quite a bit too by creating a positive pressure within the ear cups. I should point out they’re not completely noise-suppressing though. The soft padding does let some sound out at higher volumes, but that’s a trade off I’m happy to make given they’re so darn comfortable. The 40mm drivers themselves have a very indirect sound to them. They sound much further away than they are, giving you a wide-open sound that’s very enjoyable. It’s more like having two quality desktop speakers in front of your and about 6ft apart. This gives a great soundscape for movies, music and gaming that you just don’t get from some headsets. The bass isn’t massive on the drivers, but that’s fine, as there are endless textures and details in the mid-range, and crystal clear highs that bring a very natural sound to vocal tracks and music overall. From the warm guitars and sombre singing of Ghost, to the punishing sound of Cannibal Corpse, the driver response feels tight and accurate. This translates over to gaming too, with a sound that feels details and balanced, and not pre-EQ’d like many gaming headsets often are. The same holds true for the microphone, which has a nice clear and natural sound to it. It’s nothing ground breaking, but it’s as good as one would expect for a headset in this price range. I rarely play online games with team-chat these days, and I’m more likely to use it for Skype. However, I love that it can be removed completely, as I prefer not to use one that often and don’t need it in my peripheral vision. Overall, a truly stunning headset from Cooler Master, and maybe one of their best ones ever!